Min Ding is Bard Professor of Marketing at Smeal College of Business, the Pennsylvania State University. Min received his Ph.D. in Marketing (with a 2nd concentration in Health Care System) from Wharton School of Business, University of Pennsylvania (2001), his Ph.D. in Molecular, Cellular, and Developmental Biology from the Ohio State University (1996), and his B.S. in Genetics and Genetic Engineering from Fudan University (1989). His current work focuses on (1) Artificial Empathy, mainly based on analysis of video and audio data, and marrying the computer science and marketing disciplines. (2) Fair Development, a new conceptual framework he proposed as a replacement for Sustainable Development (The Bubble Theory, Min Ding, 2013, Springer). He posits firms should see the demand for Fair Development as business opportunities, and innovate accordingly and capture such values. and (3) China. In general, his research focuses on providing tools and insights that have high value to the practice. Min received the Maynard Award in 2007, Davidson Award in 2012, and his work has also been voted as Paul Green Award finalists (2006 and 2008) and O'Dell Award finalist (2010). He is the Editor-in-Chief of Customers Needs and Solutions, and series editor of Perspectives on Sustainable Growth (Springer). He is the past V.P. of membership for the INFORMS Society for Marketing Science (ISMS). He is the author of several books that include The Bubble Theory (2013, Springer), The Chinese Way (2014, Routledge), and The Enlightened, a novel. He is a diehard trekkie. Market-oriented problems of the firm; identification and selection of market opportunities; formulation of competitive strategies; marketing policies and programs. This course will introduce the audience to the role of sustainability in business, such as innovation. Lu S., Xiao L., Ding M., "Shasha Lu, Li Xiao, Min Ding (2016) A Video-Based Automated Recommender (VAR) System for Garments." Marketing Science, vol. 35, no. 3, 2016, pp. 484-510, pubsonline.informs.org/doi/10.1287/mksc.2016.0984. Jiang Q., Qian L., Ding M., "Fair Development in China." (Springer), 2016. Ding M., "The Nine Dimensions of Fair Development Aspirations in China." (Springer), 2016, pp. 269-284. Ding M., "Fair Wealth." Customer Needs and Solutions, vol. 2, no. 2, 2015, pp. 105-112. Ding M., Xu J., "The Chinese Way." (Routledge), 2014. Xiao L., Ding M., "Just the Faces: Exploring the Effects of Facial Features in Print Advertising." Marketing Science, vol. 33, no. 3, 2014. Ding M., "Symbiotic Theorization,." Customer Needs and Solutions, vol. 1, 2014. Hauser J., Dong S., Ding M., "Self-Reflection and Articulated Consumer Preferences." Journal of Product Innovation Management, 2014, pp. 31(1), 17–32. Wu D. J., Ding M., Hitt L., "IT Implementation Contract Design: Analytical and Experimental Investigation of IT Value, Learning, and Contract Structure." Information Systems Review, 2013, pp. 24 (3), 877–882. Ding M., Eliashberg, Stremenrsch, "Innovation and Marketing in Pharmaceutical Industry." (Springer), 2013. Ding M., "The Bubble Theory-Towards a Framework of Enlightened Needs and Fair Development." (Springer), 2013. Ding M., Dong S., Eliashberg J., Gopalakrishnan A., "Innovation and Marketing." Portfolio Management in New Drug Development, (Springer), 2013. Ding M., Eliashberg, Stremenrsch, "Introduction to Innovation and Marketing in Pharmaceutical Industry." (Springer), 2013. Xiao L., Kim H., Ding M., "An Introduction to Audio and Visual Research and Applications in Marketing." Review of Marketing Research, 2013, pp. 10, 213-253. Ding M., Hauser J., Dong S., Dzyabura D., Yang Z., Su C., Gaskin S., "Unstructured Direct Elicitation of Decision Rules." Journal of Marketing Research, vol. 48, no. 1, 2011, pp. 116-127. Dong S., Ding M., Grewal R. S., Zhao P., "Functional Forms of the Satisfaction–Loyalty Relationship." International Journal of Research in Marketing, vol. 28, no. 1, 2011, pp. 38-50. Songting, Ding M., Huber J., "A Simple Mechanism to Incentive Align Conjoint Experiments." International Journal of Research in Marketing, vol. 27, 2010, pp. 25-32. Lilien G. L., Bowman D., Ding M., Grewal R. S., Griffin A., Kumar V., Narayandas D., Peres R., Srinivasan R., Wang Q., "Calculating, Creating, and Claiming Value in Business Markets: Status and Research Agenda." Marketing Letters, vol. 21, 2010, pp. 287-299. William R. Davidson Award, for the best paper published in the Journal of Retailing during the two previous years, 2012. Ding M., Park Y. H., Bradlow E., "Barter Markets for Conjoint Analysis." Management Science, vol. 55, no. 6, 2009, pp. 1003-1017. 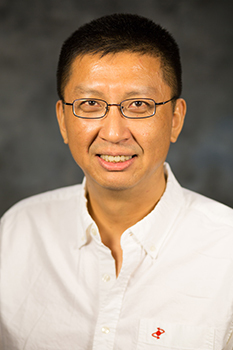 Ding M., Eliashberg J., "A Dynamic Competitive Forecasting Model Incorporating Dyadic Decision-Making." Management Science, vol. 54, no. 4, 2008, pp. 820-834. Grewal R. S., Ding M., "Counting chickens before the eggs hatch: Associating new product development portfolios with shareholder expectations in the pharmaceutical sector,." International Journal of Research in Marketing, vol. 25, 2008, pp. 261-272. Park Y. H., Ding M., Rao V., "Eliciting Preference for Complex Products: A Web-Based Upgrading Method." Journal of Marketing Research, vol. 45, 2008, pp. 562-574. Harold H. Maynard Award, for significant contribution to marketing theory and thought in Journal of Marketing, 2007. Finalist, Paul E. Green Award, Journal of Marketing Research, 2006Finalist, O’Dell Award, Journal of Marketing Research, 2010..
Ding M., Cahoy D. R., "The Stakes Matter: Empirical Evidence of Hypothetical Bias in Case Evaluation and the Curative Power of Economic Incentives." St. John's Law Review, vol. 80, no. 4, 2006, pp. 1275-1305. Ding M., Eliashberg J., Huber J., Saini R., "Emotional Bidders ? An Analytical and Experimental Examination of Consumers' Behavior in a Priceline-Like Reverse Auction." Management Science, vol. 51, no. 3, 2005, pp. 352-364. Ding M., Grewal R. S., Liechty J. C., "Incentive-Aligned Conjoint Analysis." Journal of Marketing Research, vol. 42, 2005, pp. 67-82. Manchanda P., Wittink D. R., Ching A., Cleanthous P., Ding M., Dong X. J., Leeflang P., Misra S., Mizik N., Narayanan S., Steenburgh T., Wieringa J. E., Wosinska M., Xie Y., "Understanding Firm, Physician and Consumer Choice Behavior in the Health Care Industry." Marketing Letters, vol. 16, 2005, pp. 293-308. Ding M., Cahoy D. R., "Using Experimental Economics to Peek into the Black Box of Jury Behavior: A Proposal for Jury Research Reform." Southern California Interdisplinary Law Journal, no. 14, 2005, pp. 31-66. Maranas C. D., Ding M., "Valuation and Design of Pharmaceutical R&D,." AIChE Journal, vol. 51, no. 1, 2005, pp. 198-209. Ding M., "Structuring the New Product Development Pipeline." Management Science, vol. 48, no. 3, 2002, pp. 343-363. Vandre D. D., Feng Y., Ding M., "Cell Cycle-Dependent Phosphorylation of Centrosomes: Localization of Phosphopeptide Specific Antibodies to the Centrosome." Microscopy Research & Technique, vol. 49, no. 5, 2000, pp. 458-466. Ding M., Feng Y., Vandre D. D., "Partial Characterization of the MPM-2 phosphoepitope." Experimental Cell Research, vol. 231, no. 1, 1997, pp. 3-13. Ding M., Vandre D. D., "High Molecular Weight Microtubule-Associated Proteins Contain O-linked-N-acetylglucosamine." Journal of Biological Chemistry, vol. 271, no. 21, 1996, pp. 12555-122561. Ding M., Robinson J. M., Behrens B. C., Vandre D. D., "The Microtubule Cytoskeleton in Human Phagocytic Leukocytes is a Highly Dynamic Structure." European Journal of Cell Biology, vol. 66, no. 3, 1995, pp. 234-245. Ding M., "The Hualish." (Tsinghua University Press (Chinese), Springer (English)). Kim H., Park Y., Bradlow E., Ding M., "PIE: A Holistic Preference Concept and Measurement Model." Journal of Marketing Research, vol. 51, no. 3.